The fine art of hospitality, refined over a century of our storied legacy, awaits throughout the 125 elegantly appointed guestrooms and suites at The St. Regis Mardavall Mallorca Resort featuring spectacular views of the magnificent Mediterranean Sea and our beautifully landscaped gardens. 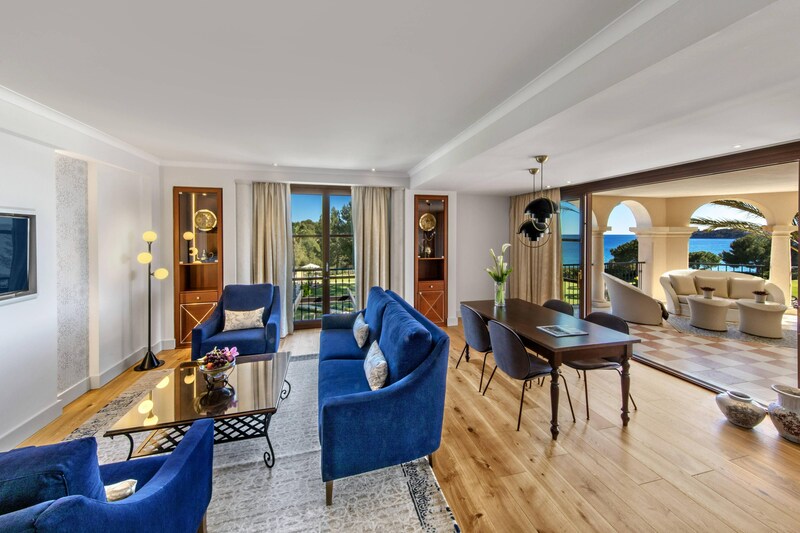 For the utmost in luxury coastal living, we present each room with its own private terrace or balcony, where the finer things in life are savored, such as private dining, stylish entertaining or simply a quiet moment with a storied vintage wine and gorgeous sunset. Within these capacious and lavishly decorated rooms and suites, no detail is overlooked and no request too insignificant. Fully wired with state-of-the-art entertainment and telecommunications systems, our specialty suites are the epitome of opulence, featuring delightful amenities such as jacuzzis and saunas. As a panoramic seascape greets outside the windows, our interiors reflect the rich and colorful Mallorcan culture and feature hand-made furniture and custom furnishing. 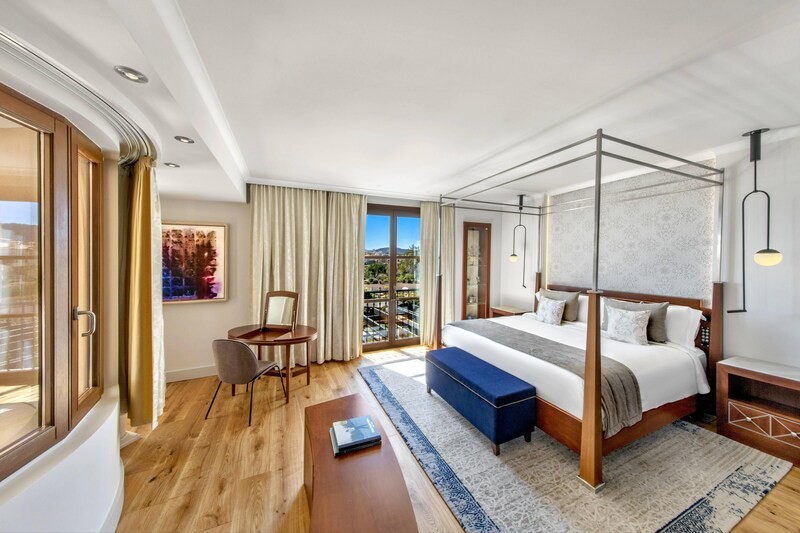 Succumb to the bespoke luxury of our specially designed feather pillows, comfortable linens, spacious marbled bathrooms, oversized desk with business conveniences, motorized blackout roller blinds and of course, our signature St. Regis Butlers who provide a myriad of bespoke services. Extending our impeccable standards to the air you breathe…the guest rooms at this St. Regis are smoke-free. Uncompromising distinction for an unforgettable stay. The one-bedroom Mardavall Diamond Suite offers polished indulgence in a privileged 117m2 space. From your Jacuzzi on the vast 38m2 private terrace, you can contemplate views over the glittering Mediterranean Sea. St. Regis Butler Service has been a treasured hallmark of the St. Regis experience for over one hundred years. From a perfectly pressed suit to a favorite book at hand, no request is too small or unattainable.